By looking at the breakdown of the loans and borrowings, the amount of unsecured debt ( collectively the loans and notes) amounted to $1,036,410 thousand. As a percentage of debt, it is about 68%. I am quite surprised to see Hyflux actually paying quite a low interest rate ( as low as 1.7%) on their unsecured loans with maturity up to 2026. 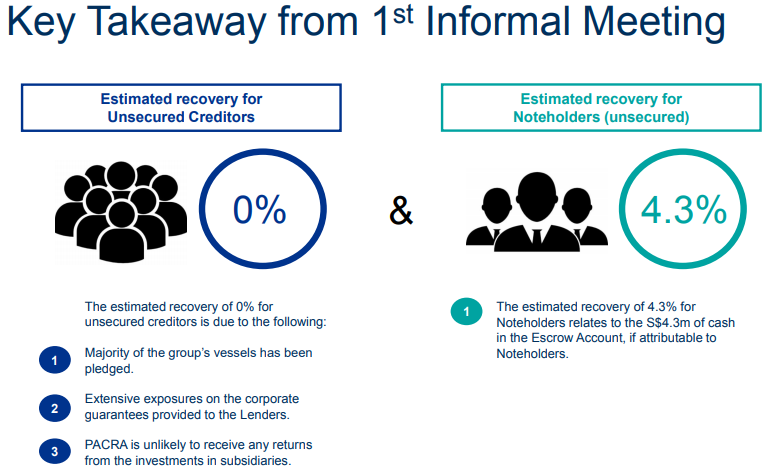 I am actually quite surprised to see that for Pacific Radiance, the estimated recovery would be 0% for unsecured creditors and 4.3% for unsecured noteholders. I don't know the exact terms in the notes or informal meeting, but superficially looking at this picture, it seems that there is a chance that my misconception that creditors which i interpret as including banks rank higher than noteholders which i interpret as including bondholders. 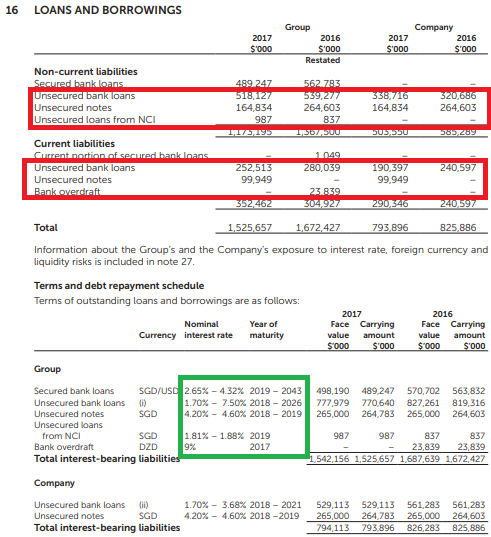 If my layman interpretation is right, there does seem a chance that in Hyflux's case , it is in the unsecured bank creditors interest to keep Hyflux as a going concern as they hold $770,640 thousand debt as compared to the unsecured noteholders of $264,783 thousand debt. But i am a perpertual ( N2H) and preference (BTWZ) holder, not a noteholder. I rank lower. Mr Alexander Zeeh, chief executive of SEA Asset Management, which holds some of the Series 004 bonds in the S.E.A. 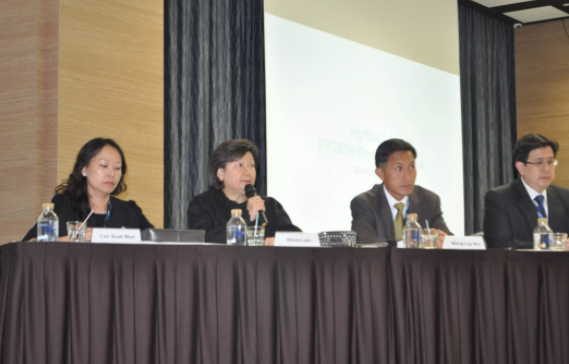 Asian High Yield Bond Fund, said: "The terms for the perp holders seem to be too generous compared with the senior debt holders. Perp holders get the option to be repaid in 10 years, that's shorter than a perpetuity." - from here. For me, i have psyched myself to totally write -off the whole investment with a nil return. Any amount back would make me a happier person as my expectations were the lowest to begin with. I do not think that it has reached a situation where the banks think that " it is too small to fail" and it won't hurt us much, so just kill it type of situation. It is in the vested interest of banks to keep it going, though the Tuaspring problem need to be settled as losses after losses would also mean better cut loss quick. But if and when Hyflux do get back to shape, i do hope that Olivia and her board of long serving directors step down. 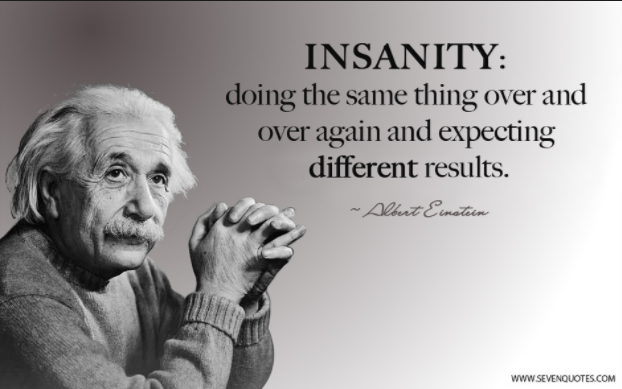 Because, of the following quote by Albert Einstein.